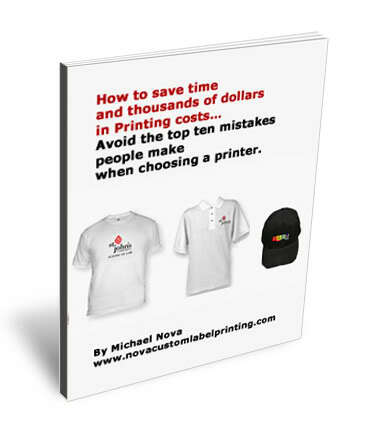 Nova Custom Printing & Embroidery has provided one-stop shop corporate apparel since 1995. We offer our clients the best value when it comes to wisely investing marketing dollars into quality garments that stand the test of time. Bringing corporate clothing ideas to life is what we do, and with over 18 years experience in the field, we make it easy, with a dedicated account representative at your disposal. This account representative will be available to help research the appropriate garments to suit specific corporate needs. We don’t believe in offering “packages” because offering ready-made packages defeat the purpose of a custom order, and custom work is all we do, creating corporate clothing that employees and clients enjoy wearing, not only during work hours, but after work hours as well. 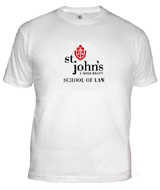 We offer Silk Screen Printing, Embroidery, Heat Transfer and DTG (Direct to garment) Printing. When it comes to DTG printing, we print approximately 20,000 DTG images per month and are the largest DTG printer east of the Mississippi with a quality rating of .5% defect rates in an industry that allows for 3.0%. The Kornit machinery we use for printing is the industry leader in DTG printing machinery. We also offer west coast facilities for convenience. Or Request A Custom Price Quote Here On Printed Or Embroidered Corporate Clothing, Corporate Apparel, And Corporate Wear. Please note: Our facilities are networked nationwide. We ship from twelve states across the U.S., to save you time and shipping costs, and we also specialize in RUSH ORDERS. Enhance brand image with high quality custom printed or embroidered corporate wear that lasts. If providing us with completed artwork, and require screen printing, we will create the screens and keep the screens on file for reorders. If embroidery is required, we will create a digitized embroidery file that we will also keep on file for reorders. * Please note, if providing completed design for silk screened or embroidered corporate clothing, corporate apparel, or corporate wear, please email us high resolution digital files in photoshop or illustrator at 100% actual size, in separate layers. We accept, PSD, PDF, JPEG, BMP, GIF, EPS, AI, TIF files. Also please note that it is important to convert type to paths or outlines, or send us the fonts that are used with the artwork in a zip file. Our professional staff is happy to help. Or Request A Price Quote Here On Corporate Clothing / Corporate Apparel / Corporate Wear. Please also visit our T Shirt Screen Printing page and Customized Hats / Customized Shirts page to learn more about the full scope of Nova’s national operations.